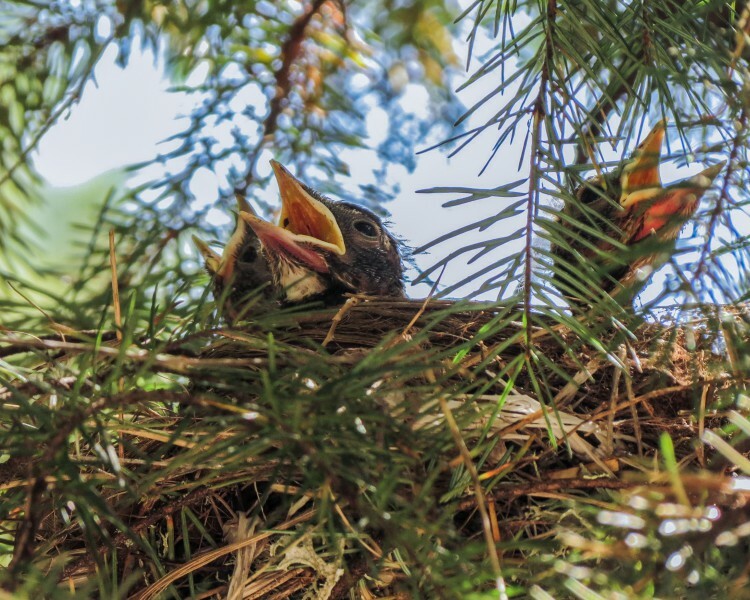 Although the American Robins aren’t due to migrate back to our region for a few more weeks, these baby birds-in-nest bring to mind thoughts of new beginnings. The robin a promise of new beginnings …, it carries symbolic meanings of cheer, joviality and light-heartedness. The Iroquois and Shoshone peoples believed ring around the red robin’s eye was symbolic of prophetic vision, clarity, and great wisdom. The robin would be called upon during ceremonies when clear understanding was needed, and quality judgments needed to be made. Would you enjoy viewing more American Robin photographs? I like knowing facts about wildlife… but the symbolism and native people’s legends that are attached to many are very interesting. It was enlightening find the link to your blog to learn about your mitigation business. If you are looking for an icon- a robin eye would be a good choice as per Iroquois and Shoshone beliefs! What a great choice for the New challenge and the New Year! Love your robin photo as well as the info on all of the Americanisms about it – I had no idea!! what beautiful clicks. 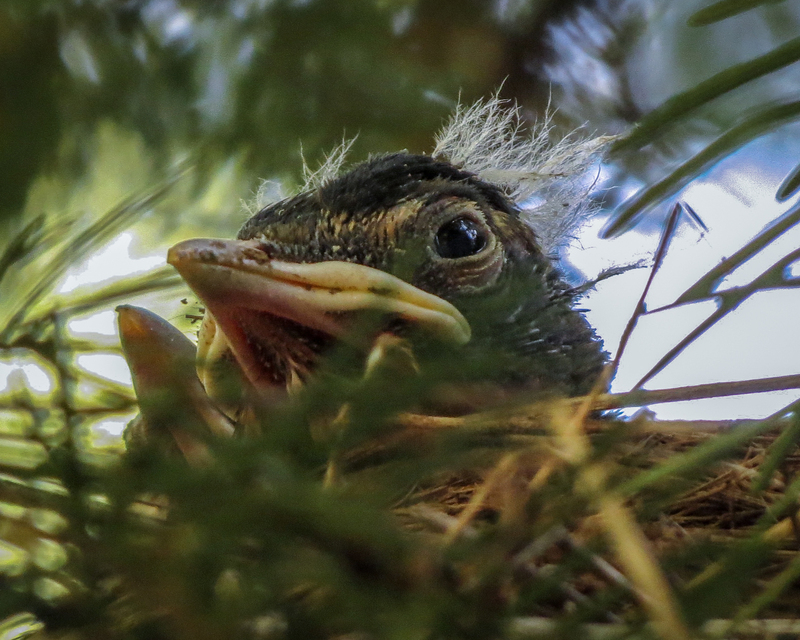 there is something precious about new life… thanks for sharing. There’s no better way to increase happiness and renewal than by singing with a few friends. I hope you will soon feel completely healed and healthy. In the interim… keep on with all your positive, and humorous energy; it’s inspiring to read your posts and thoughts, my friend. What an incredible photo of nature once again Jane. We are always so in awe with what you snap. Look forward to more in 2015. Happy New Year! I think we are great matches as blog-buddies. My views of the world are expanded through your wonderful travel photos and commentary. I’m excited you look forward to my nature ramblings! I won’t see robins for at least three months, but your photo gives me promise of that time to come. Thanks! three months will pass before you know it. Jane, thanks for peeking and for the lovely comment about my blog. I am hoping you are right about the three months passing quickly. This is always the start of what seems like never-ending winter, so I will keep hope for an early spring. Happy New Year! The photo challenge “New” introduces so many New things. Your entry of American robin and the symbolism associated with red robin is really interesting.Thanks for sharing. Great shot of the chicks. You learn something new everyday. I love your photo and the fact that it came with a lesson. Happy New Year!